Is now over for 2016. View recorded videos over here. Thank you for joining over 400 innovators from across business, technology, government and community sectors. Learn from leaders who are pioneering a more open world. Audrey Tang, a civic hacker who actively contributes to Taiwan’s g0v (“gov-zero”), a vibrant community focusing on creating tools for the civil society, with the call to “fork the government”. Named one of the top ten "Most Influential Thinkers in the World" by MIT, Douglas Rushkoff is the author of Throwing Rocks at the Google Bus: How Growth Became the Enemy of Prosperity. He is a technology commentator for CNN, and a prominent advocate for open source solutions to social problems. Sir Geoffery is a distinguished public servant and lawyer who has held several prominent political positions - including Minister of Justice, Environment, Deputy Prime Minister and prime Minister. He joined us to open a conversation about how a constitution can help democracy in New Zealand. Liz was appointed to the role of Government Statistician and Chief Executive of Statistics NZ in August 2013. Liz is passionate about evidence-driven decision-making and sees her role is to ensure New Zealand decision-makers at all levels have access to quality information. Keitha Booth is continuing to actively lead, advise and commentate on the New Zealand information scene. From 2008 to December 2015, Keitha led the NZ Open Government Information and Data Programme. She played a key role in developing government's current information policies, all of which promote open licensing as a fundamental principle. Eric Hysen is the Executive Director of the Department of Homeland Security Digital Service. The DHS Digital Service is bringing top software engineering, product management, and design talent from the private sector to partner with innovators inside government and transform DHS’s most critical services. From 2004-06 Evan Henshaw-Plath was the first employee, lead developer and architect in building Odeo’s Ruby on Rails web application platform. Odeo is best known as the company which created Twitter so Evan is well-placed to tell the story of how – through learning from failures, pivoting to open innovation and experimentation – Twitter came to be. Hon Bill English is the Deputy Prime Minister, Minister of Finance (roles he has held since 2008) and the Minister Responsible for Housing New Zealand Corporation. Pia Waugh is an open government and open data ninja, working within the machine to enable greater transparency, democratic engagement, citizen-centric design and real, pragmatic actual innovation in the public sector and beyond. 2 huge days of inspiration, professional development and connecting for policy, data, open technology, leadership, management and team building. By inspired by global champions who are pioneering a more open world. Learn from the people ripping the lid off huge questions and leading NZ forward. You joined over 400 innovators in facilitated open, collaborative sessions. Expect to contribute your perspectives, connect with others. Prove the power of participation and collaboration - by putting it into action. 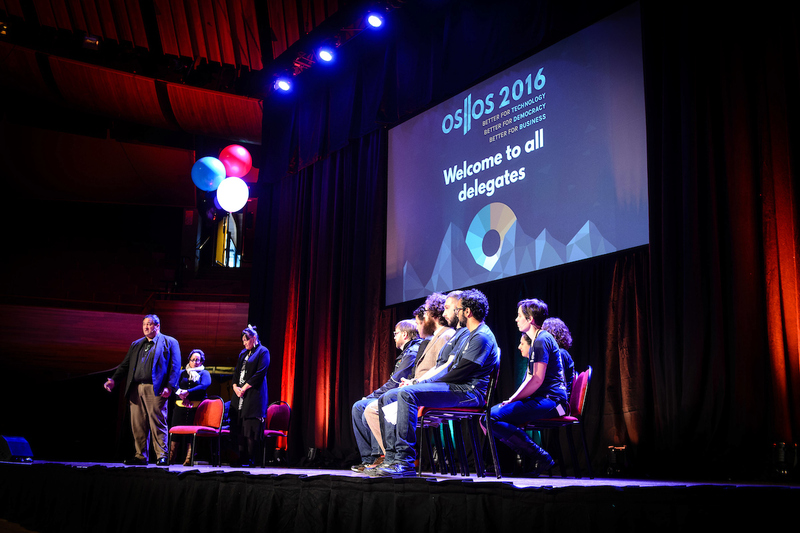 OS//OS is being hosted by Enspiral and brought to you by a community of member and contributor organisations.